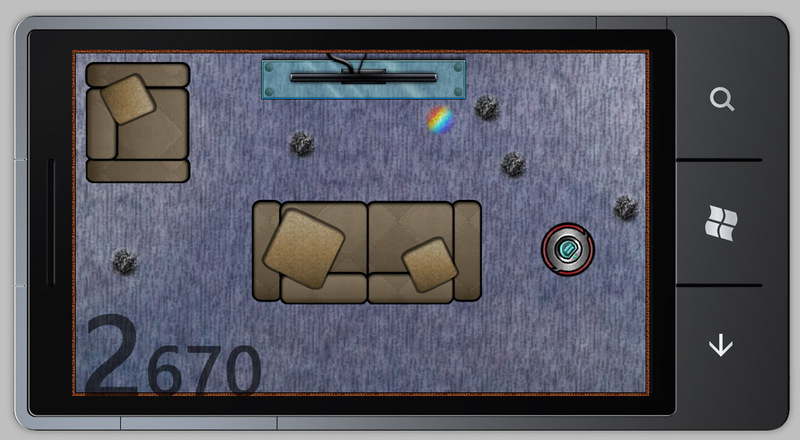 The aim is to move around a room cleaning up dust that spawns randomly. You gain points for each dust and you try to beat the highscores. The version you see in the screenshots is mine. I am currently developing it for Windows Phone 7, and want to have a version for Xbox 360 when it is complete on WP. 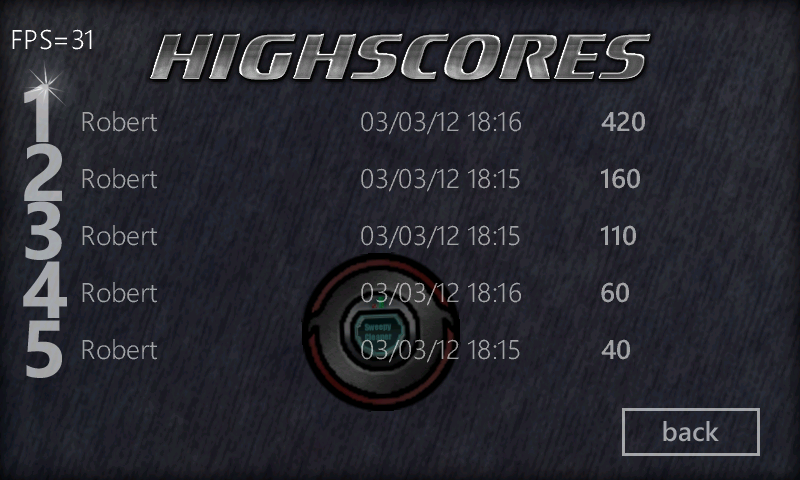 The game is controlled with the Phone’s accelerometer and there are sounds and highscores. I hope to add multiple rooms and some new mechanics before it is ready for consumers. Look out for it on WP marketplace!